We appear to be often working a lot with clients (mostly buyers) from other countries and cultural backgrounds, which we find very interesting and pleasant. Looking back on 2012 just over 40% of our clients were from different countries and/or cultures and therefore new to Calgary. Most likely the main reason for attracting first time home buyers from other countries and that are new to Calgary, is the fact that we ourselves are immigrants and can relate to many questions and hurdles that are involved in immigrating to a new country and leaving one’s home country and often one’s family behind. We are often able to answer many questions as to how life in general is led here, questions about insurances, taxes, schooling, sports etc. Of course, more specifically, we are very happy to help people on their way in the field of real estate because one of the biggest dreams of many new immigrants is home ownership in Canada. 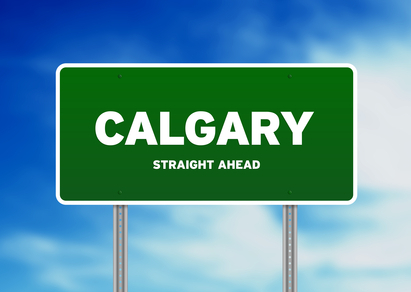 When you are very new to Calgary or Canada, you will most likely not be able to buy a home right away. If this is the case, we have a lot of knowledge and the right partners. For example mortgage advisors, to show the new immigrants how they can prepare for home ownership here. If the immigrants have been here for a more extensive time period already (depending on the specific situation, ranging for 3- 12 months), there is a fairly good chance that home ownership is already around the corner. 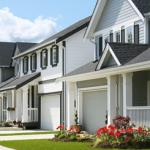 In today’s mortgage world there are very good products specifically tailored to making home ownership for new immigrants to Canada a quick possibility. Important factors on if and how quickly a new immigrant can start looking for a home are down payment, credit rating and job steadiness. Most of the new immigrants bring different cultures with them as well. We learn first hand about how life in these countries can be totally different from what we in Canada are used to. We had the privilige to meet, work with and learn from people from Ethiopia, China, Russia, Egypt, Brazil and India, for example. The one day I am sharing Dutch ‘stroopwafels’ during a home inspection with an Ethiopian lady client, wearing her original clothing from Ethiopia and the next day we are celebrating Diwali with a couple of our East Indian clients (who are now our friends). To us, being able to live and work in Canada is a privilege in itself and being able to do this work and meet so many different people from all over Canada and all over the world makes it an even bigger privilege for us as Dutch immigrants. If you are new to Calgary, be it as an immigrant or coming from outside of Calgary, or even if you are a first time home buyer from Calgary, we are more than happy to chat with you on possibilities and options in Calgary and its communities. Send us an email or call us, anytime!